Adventure. Freedom. The Jeep Wrangler embodies these ideals. The Jeep has always represented adventure and a call to action, carrying Allies to victory across a war-torn landscape of Europe in the 1940s. The Jeep can also be a call to adventure, hauling you and your buddies off on a camping trip in the great outdoors to The Cove Campground, Little Fort Campground, or Mountain Lake Campground. The iconic Jeep Wrangler has translated a vehicle into a power symbol, giving your automobile a life of its own. The Jeep Wrangler’s outside capability is amazing and makes it an incredible off-road vehicle. The Jeep Wrangler conquers terrain but still manages to keep its luxurious and classic appeal. The iconic Jeep Wrangler is back with the latest 2018 model. The unique Jeep Wrangler personality is still intact with this new model, yet it continues to cater to the adventure-seekers out there. This off-road vehicle offers three new trim levels for 2018: Sport, Sahara, and Rubicon. All versions can be ordered in either classic two-door, short wheelbase, or extended Wrangler Unlimited four-door configurations. Structurally, the Jeep Wrangler retains its historical shape and high-strength construction. The Sport and Sahara trim levels have Dana 30 front axles and Dana 35 rears. The engine compartment of the new 2018 Jeep Wrangler houses a new standard engine in the form of a 3.6-liter V-6. Roof management has also been hugely improved with a retractable soft top that can be opened and closed in seconds. With the new 2018 Jeep Wrangler JL, you get an entirely new steel frame which serves as the backbone. Weight-saving aluminum is not only used for the hood, but for the doors, hinges, and windshield frame as well. The Wrangler JLs are available in two and four-door models. The two-door versions come in Sport, Sport S, and Rubicon, while the four-doors add a Sahara trim level between Sport S and Rubicon. With the new 2018 Jeep Wrangler, there are also modern improvements. New technology and safety features such as a backup camera and a central touchscreen make for a new and improved driving experience. All of these features make the 2018 Jeep Wrangler more capable, more modern, and more drivable. The exemplary Jeep Wrangler has always stood out as the face of Jeep. Jeep has a rich heritage, dating back to the 1940’s. In the 1940’s, the Jeep was a perfect addition to America’s war arsenal. This WWII all-purpose vehicle allowed the brand to become recognized all around the world and is forever tied to freedom and adventure. When the war ended, the Jeep Wrangler became associated with farming and off-road capability. The Jeep Wrangler has come a long way since then. After going through some changes, including the retirement of the CJ model, Jeep debuted the Wrangler YJ in 1987. By then, the Jeep Wrangler was already well-known. In 1993, the Jeep Wrangler offered anti-lock brakes and then in 1994, Jeep introduced another first: an optimal automatic transmission on four-cylinder models. In 1997, the second-generation Wrangler known as the Jeep Wrangler TJ replaced the Wrangler YJ. This redesign focused on on-road comfort, while still maintaining the usual off-road capabilities. In 2004, the Jeep Wrangler Rubicon model was introduced, targeting adventure-seekers who wanted to take advantage of the off-road aspects of the vehicle. The third generation, known as the Wrangler JK, was bigger than ever and proved to be just as popular as its predecessors. In 2012, the last update to the third generation of Wrangler was announced. Known as the Pentastar, this new model allowed output to jump substantially to 285 horsepower. 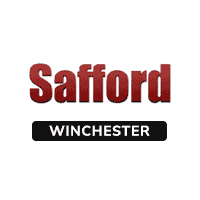 Call, email, or come visit Safford of Winchester in Winchester, Virginia! We offer great deals on a variety of models, including the Jeep Wrangler. We have a large selection to choose from and offer many options to fit your needs! Safford of Winchester is proud to share our New Vehicle Incentives, as well as our multiple special programs. Be sure to check out our New and Used inventories. We also have a Parts Center along with Parts Specials. If you need service, visit our Service Center and check out our Service Specials. We are the proud recipient of the Customer First Award for Excellence and are known for our excellent customer service! See our Video Testimonials or check out Our Reviews! We are located at 1659 BerryvillePike Winchester, VA 22603.